I needed to go up to Sarasota today. My picture of a Ramburs Forktail took an honorable mention in a juried show of the Sarasota Camera Club. I stopped by the Venice rookery on the way to see what the activity was like. 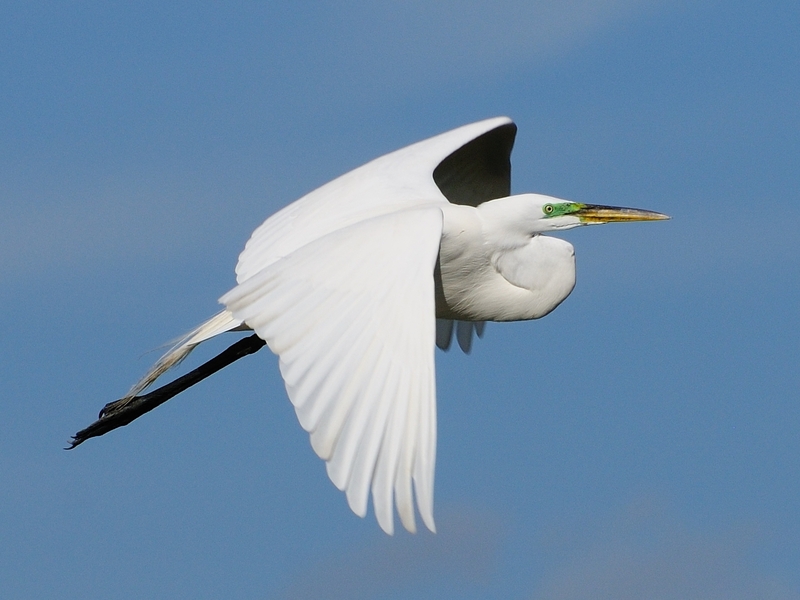 The great Egrets have arrived and are beginning to nest on the island and the Anhinga are busy. There was one Great Blue Heron nest with a couple of chicks but no good angle to get a decent shot. Both of these birds have their mating colors on display around the eyes. The new oak trees have been planted but it will be a long time before they create any effective shade. One thing the clearing did was to give angles for good lighting all day long for flight shots. Several of the Great Blue Herons were definitely sitting on eggs in lower nests at the front of the island so there should be some good opportunities for baby pictures soon. 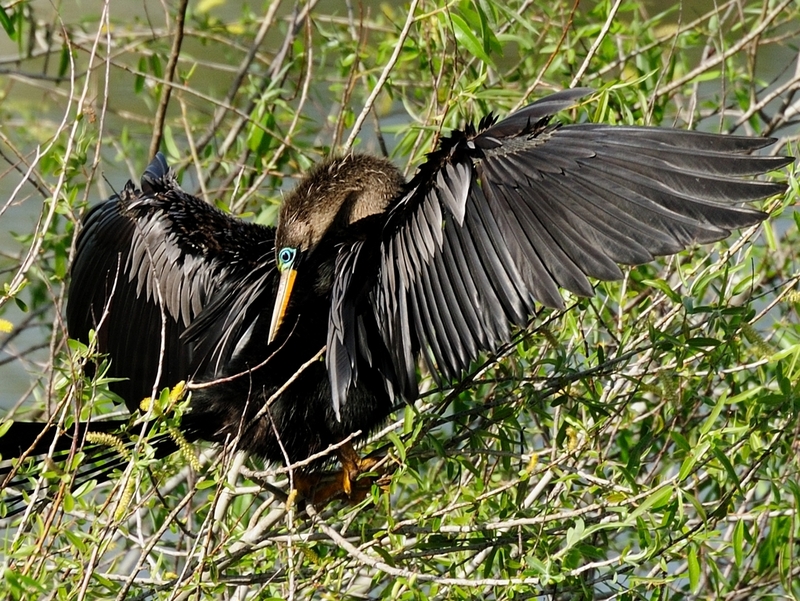 This entry was posted in Bird, Park, Venice Rookery and tagged anhinga, Great Egret, Photography, Venice Rookery. Bookmark the permalink.